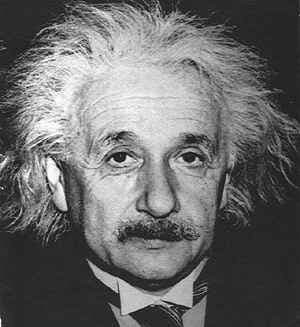 Einstein’s brain was preserved after his death in 1955, but this fact was not revealed until 1986. Mere hours after his death in 1955, Albert Einstein‘s brain was removed, weighed and analyzed in a lab at Princeton Hospital by pathologist Thomas Stoltz Harvey. Bits of his brains were then sent to other pathologists around the country for analysis in hope that a connection between its physical attributes and the remarkable genius of Albert Einstein might be discovered. A large portion of these brain section were actually kept by Harvey himself for his personal use, until these were re-discovered in the 1980’s sparking a heated controversy. Nevertheless, several anomalies or differences from the typical brain were identified. A newly devised technique that measures the large bundle of nerve fibers that connects the two hemispheres of the brain may suggest another Einstein’s brain anomaly. Apparently, Einstein’s left and right hemispheres were particularly well connected, which may have aided his intellectual abilities. Einstein’s brain, photographed in 1955, is about 15% wider than that of most people and, rather than being egg-shaped, it’s almost perfectly round. Weiwei Men of East China Normal University used a novel technique to image the corpus callosum – large bundle of fibers that connects the two cerebral hemispheres and facilitates interhemispheric communication in the brain. Men thus came up with a high-resolution that measures and color-codes the varying thicknesses of subdivisions of the corpus callosum along its length. The thicker these fibers are, the more the nerves that cross these suggesting a stronger connection between the two hemispheres. Einstein’s callosum was compared to two sample groups: 15 elderly me and 52 men Einstein’s age (26) in 1905 or his Annus Mirabilis (Miracle Year) when he published four ground-breaking papers that changed the world’s views about space, time, mass and energy. The findings show that Einstein had more extensive connections between certain parts of his cerebral hemispheres compared to both younger and older control groups.